Notes: Preferred to be kept singularly in larger home aquaria due to infighting between males though friendly towards other tank inhabitants. 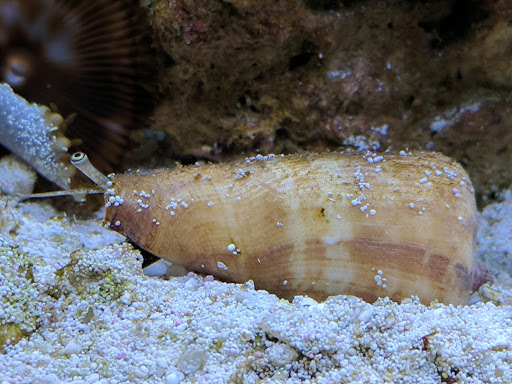 The Tiger Conch is a popular snail due to ability to aerate deep sand beds eating detritus, meaty foods and some forms of algae. I bought Two a few months ago... I just put them In my display tank yesterday from QT. Excellent sand cleaner sifter. Excellent health when they arrived! They are really cute too!